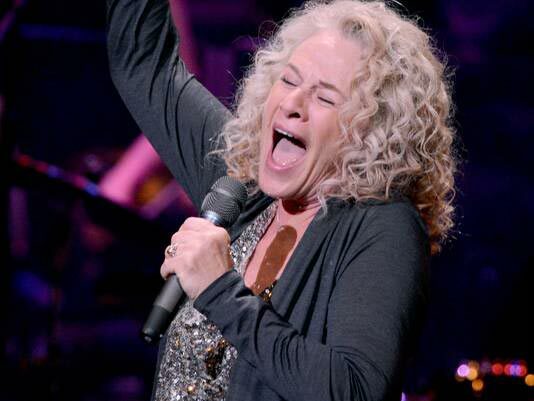 On May 20th 2013 – Carole King will receive Library of Congress Gershwin Prize for Popular Song. Famous for songs like You’ve Got a Friend, So Far Away, (You Make Me Feel Like) A Natural Woman and I Feel the Earth Move, her career took off in 1971 with her hit album, Tapestry. It was the first female solo album to sell more than 10 million copies. In 1972, she won four Grammy awards including the top honor, best album. The Gershwin Prize recognizes the lifetime achievement of notable music artists. King will join previous honorees Paul Simon, Stevie Wonder and Paul McCartney as well songwriting duo Burt Bacharach and Hal David. The program will be taped by WETA/PBS in Washington D.C. as part of the “In Performance at the White House” series that will air later this year. The Executive producers of the Library of Congress Gershwin Prize for Popular Song are Bob and Peter Kaminsky, Mark Krantz, Cappy McGarr and Dalto Delan; The Kaminskys, Krantz and McGarr are also the creators and executive producers of the Kennedy Center Mark Twain Prize for American Humor, now going into its 16th year. Dalton Delan and David S. Thompson are executive producers for WETA Washington D.C., Executive Talent Managers: David Paley and Cat Del Buono. This will mark Billy Amato’s logistics Specialist program with Bermuda Limousine International 7th year with both programs.